I have tried so many lemon squares, but none of them ever tastes as delicious as this one. They are either too sweet or don’t have that yummy buttery taste. I discovered this recipe when I visited a friend who happened to make lemon squares to serve us that day. When I had my first bite, I already loved them. The squares were truly delicious. They got a buttery taste from the crust, and a lemony flavor from the custard. I could not wait to ask her for the recipe. I copied it down, but never asked where she got it. I have modified the recipe a little so that it suites my taste even better. 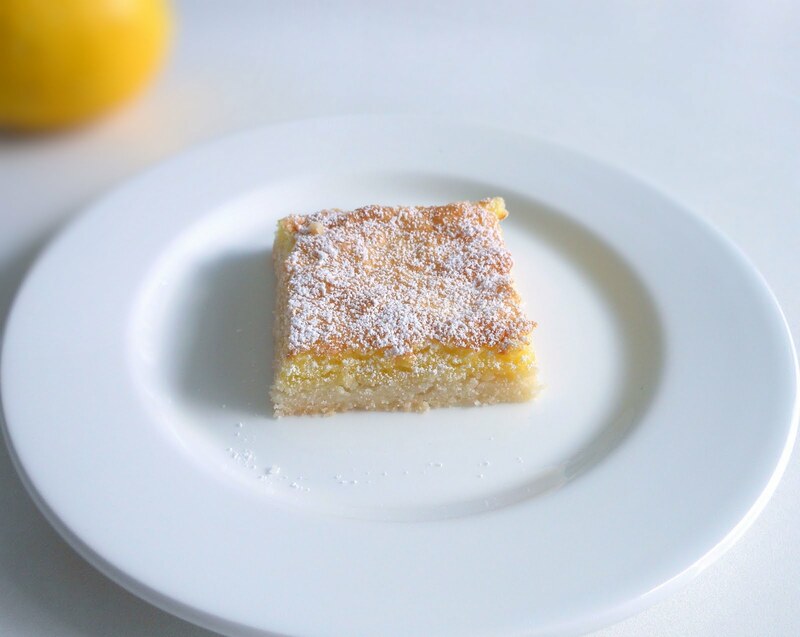 I started making these lemon squares ever since, and have received so many great compliments. Now I would like to share this recipe with you. For the crust, blend the crust ingredients. Press into a 9 X 9 ungreased pan. Bake for 20 minute or until lightly browned. Beat eggs for 1 minute. Add the remaining custard ingredients into the egg mixture and beat for another 1 minute. Pour custard over the crust and bake for 25 minutes. Sprinkle top with icing sugar. Yes, you can. I do that all the time. They taste just as good after I thaw them.